In addition to over six years of full-stack Drupal experience, Bayo brings a strong background in UX and website usability to his role as Senior Drupal Developer. Bayo got his start in Drupal worked at a few different places doing contract Drupal work. He later graduated from University of North Carolina at Charlotte with a BA in Software Information Systems in 2011. After receiving his degree, Bayo began working as a full time Developer for a digital agency in Charlotte, North Carolina. 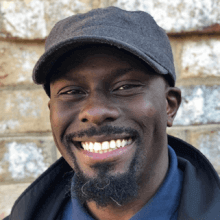 During his time in this role, he became involved with the local Drupal community, including the Charlotte Drupal User Group, to grow and develop his skills. When he’s not working, Bayo enjoys building furniture (or trying to), grilling, football and enjoying time with family and friends.